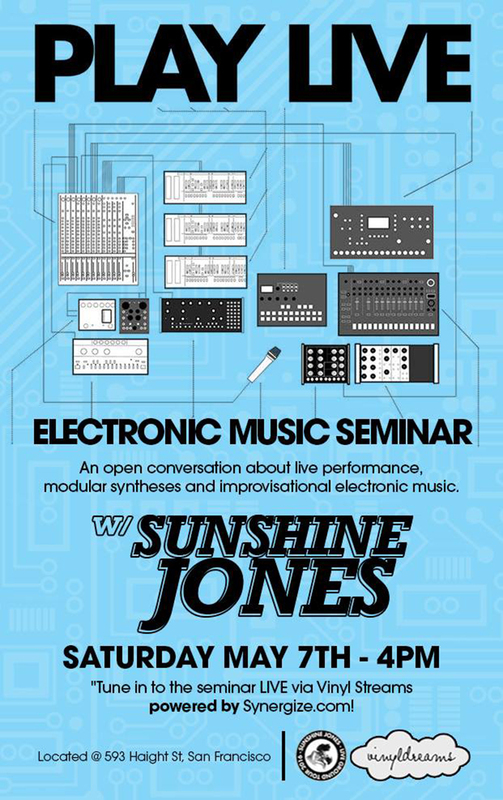 Saturday May 7th 2016 I am hosting my Electronic Music seminar at Vinyl Dreams in San Francisco. Thanks to the help and love of a lot of people – Michael May, Buckner, Mike B and many more – I am getting this together for you at home. Consider it an open conversation about live improvisational electronic music, gear, modular, modern synthesizers, and more. Bring you questions, your hopes and dreams. Let’s start a wonderful conversation. When we’re done, if you’re up for it, I might just play you a song or two… live.